Bookmarks are saved Web sites you visit frequently that are added to a list so you can return to them quickly. 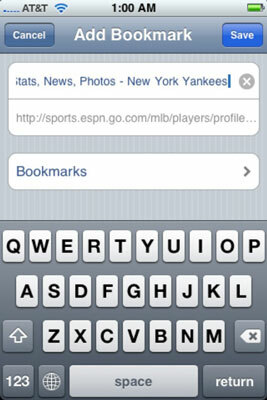 You can bookmark a Web page on your iPhone just as you would on your home computer. View the Add Bookmark screen. The Add Bookmark screen appears with a default name and folder location.